Sister Jane Ellen Burns (Kathryn Burns), age 94, died at Mary’s Woods at Marylhurst, August 19, 2017. Kathryn, the youngest of the seven children of Harry H. and Margaret Mullen Burns, was born in Seattle. She received both her elementary and secondary education at Holy Names Academy in Seattle, graduating in 1941. She entered the Sisters of the Holy Names in January 1946 and received the name Sister Mary Jane Ellen, a name she cherished in memory of her beloved sisters, Mary, Jane and Eleanor. completed an M.A. in English from Gonzaga University. Her proficiency as an English teacher led to Marylhurst College, where served at one point as English department chair. When Marylhurst transitioned in 1974, Sister Jane Ellen taught a year at Our Lady of Rosary College, Hong Kong, before going to Sacred Heart, Salem. In 1978 she left the continent for a decade to teach at Junshin Junior College, Kagoshima, Japan, a highlight of her life. On her return, at an age when others might have retired, Sister accepted a position at Mount Angel Seminary where she spent 12 years editing Seminary publications and working with students as thesis editor. For her service she was awarded the Seminary’s highest honor, the Lumen Gentium Award, in 2005. She was recognized in 2013 as a Distinguished Alumna by Marylhurst University. 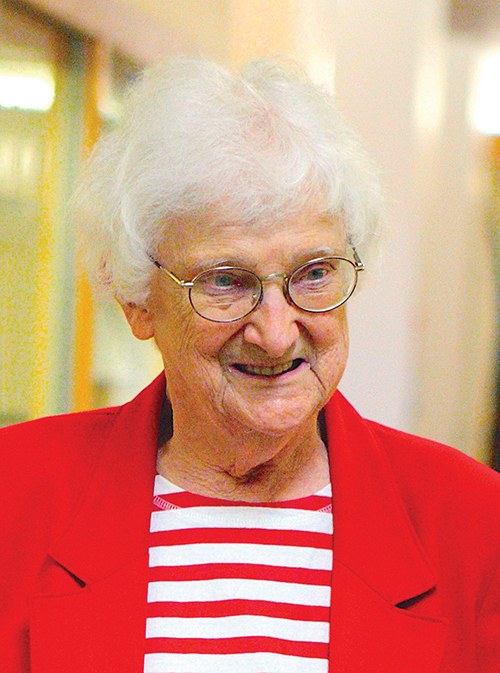 Upon her retirement, she continued working with seminary students as well as the principal writer for Ventures, a Holy Names publication, for which she wrote until age 94. Most significant to those who knew her was her gift of herself as friend and mentor. Over the decades she maintained close relationships with many former students, friendships she treasured to her last days. She also dearly loved her family remaining a font of family stories and a cherished elder. Click here for a video of the funeral Mass for Sr. Jane Ellen.